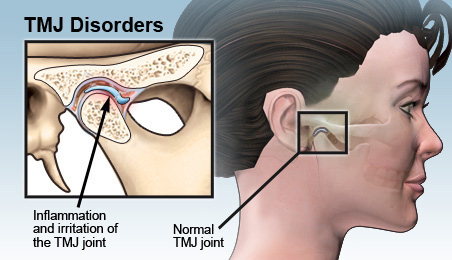 TMJ is the acronym for the tempora-mandibular joint, which connects your lower jaw (the mandible) to your skull at the temporal bone. This joint controls many jaw functions, like chewing. If the chewing muscles or the joint itself are causing you pain you may have tempora-mandibular disorder, or TMD. TMD can be caused by stress, continual clenching of the jaw muscles, or teeth grinding.